KISS' bassist and singer Gene Simmons seems to be a bit confused by the gesture that he uses in concert. Alice Cooper is bringing Dennis Dunaway, Michael Bruce and Neal Smith, his original bandmates in the Alice Cooper Band, along on his upcoming tour of the U.K.
Stevie Nicks has just released a brand new song ‘Your Hand I Will Never Let It Go’ from the movie ‘The Book of Henry’. Anita Pallenberg, the one-time girlfriend of Rolling Stones guitarist Brian Jones and then Keith Richards, has died at age 73. Queen + Adam Lambert will return to Australia in 2018. Long forgotten unreleased Neil Young songs from a 10 day session in 1976 will finally be released as the album 'Hitchhiker'. Adrian Belew is now Colonel Adrian Belew. Nigel Grainge, the founder of Ensign Records, has died at age 70 following complications from surgery. APRA AMCOS has introduced a live music initiative in New South Wales to discover new talent. Alice Cooper is moving his Australian tour to bigger venues in Melbourne and Brisbane. German metal band Accept will return to Australia in September but for one show only … for Melbourne. Seattle’s new city park Jimi Hendrix Park will be officially opened this Saturday June 17. Rhys Darby, the biggest thing to come out of New Zealand since Phil Rudd’s court case, will tour Australia in August. 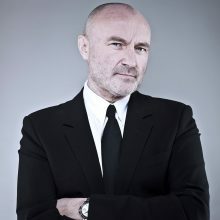 Phil Collins wore a large plaster on his head as he resumed his tour in Germany on Sunday night (June 17) following his recent hospitalization. Sean "Diddy/P-Diddy/Puff Daddy" Combs has come out of, what seems to be, nowhere to become the highest paid celebrity on Forbes' annual list. Ice Cube has been a multi-threat in entertainment, starting as a member of the group N.W.A., moving on to a successful solo career and a great deal of work in TV and film including the Barbershop. Friday, 21 Jump Street and Ride Along franchises. 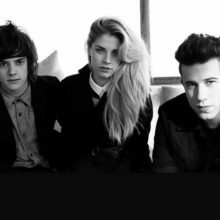 London Grammar’s debut album If You Wait managed to peak at Number 2 on the Official Albums Chart, and it appears that their new record is going to go one better. Miley Cyrus is getting her own episode of The Tonight Show Starring Jimmy Fallon on Wednesday (14Jun17). U2 frontman Bono joked about having Tennessee's Bonnaroo Music and Arts Festival named after him as the veteran Irish rockers headlined their first ever U.S. festival this weekend (09-11Jun17). Once again stories about the death of the CD have been grossly exaggerated. 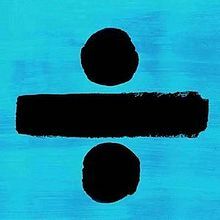 A study of this week’s Australian Top 10 ARIA album chart by The Noise Network shows that most fans prefer the physical format over streams and downloads. Sony Music’s Denis Handlin and promoters Michael Coppel and Paul Dainty have been awarded honours in the Queen’s Birthday List for 2017. As Parklife Festival prepared to welcome The 1975 to Saturday’s main stage, screens were lit up with ‘We Stand Together’ in a touching tribute to last month’s attack at the MEN arena. Messages of love from artists playing across the weekend were shown on screens, including Carl Cox and Goldie. At first, the joining of folk icon Joan Baez with country singer-songwriter Mary Chapin Carpenter and the folk-rock duo the Indigo Girls seemed a bit odd but, the fact is, they have been friends for some time and the blending of the four voices is nothing short of amazing. Rapper Ice Cube confronted Bill Maher over his use of the N-word during his appearance on the comedian's live U.S. show on Friday night (09Jun17).